Creating a tiny garden, also known as a fairy garden, has skyrocketed in popularity over the last year and a half. Calro's book is full of photographs to inspire and motivate you to create your own lilliputian world. She emphasizes that scale is one of the most important elements when creating a garden scene. If the accessories are too large for the plants, or vice versa, the garden will not look balanced. She applies three main dollhouse miniature scales to her gardens: 1 inch (large), 1/2 inch (medium) or 1/4 inch (small). Giving examples in the book, she illustrates how each would look to help the reader decide which they prefer. Calro also reminds the reader that design principles that would apply to (regular-size) gardening also apply in the tiny world. She explains why it's important to keep in mind anchor points, layering, balance, form, texture, color and focal points. Sound complicated? Her easy writing style will give you the confidence to go forth and experiment, either in pots or outside in your main garden. Intermingled with her recommended plants are also examples of miniature gardens you can replicate on your own. While reading (and skipping ahead to look at all the colorful photographs), I kept finding that I wanted elements that were featured in the book. Two Green Thumbs Miniature Garden Center is Calro's website and offers plenty of figurines, plants and accessories for sale. Now there's no excuse to experiment with miniature gardening. 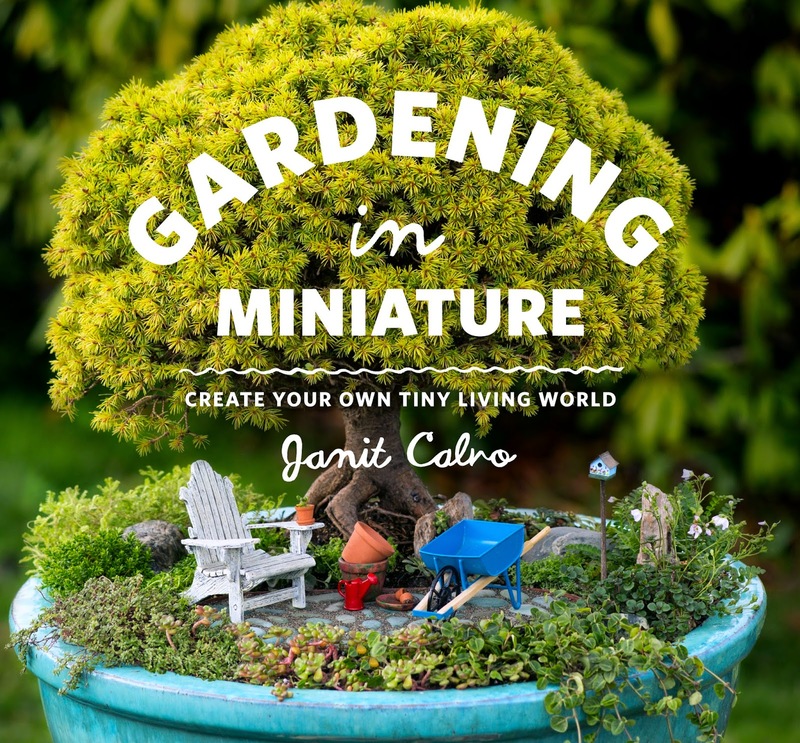 Gardening in Miniature retails for $19.99 and is published by Timber Press.